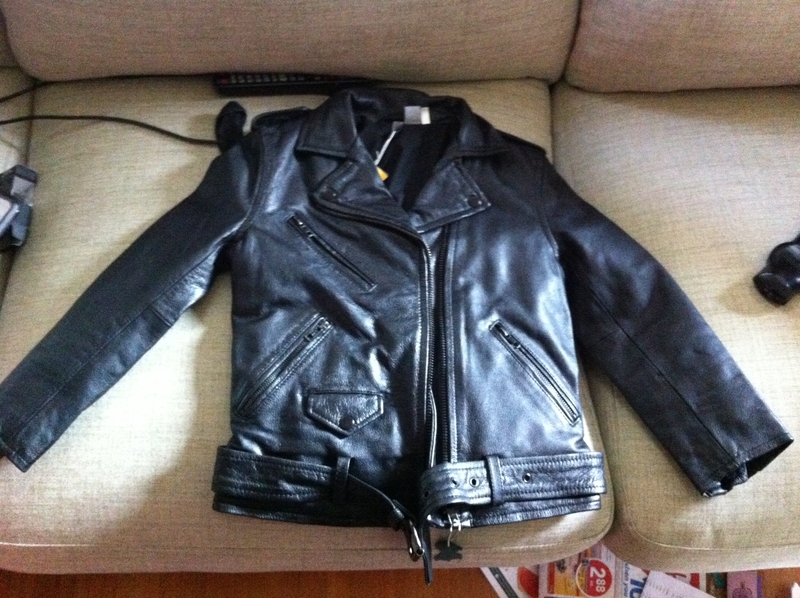 A few months ago, I bought my first leather jacket. I’ve been toying with the idea of a leather jacket for many years, but I just never got around to getting one. On a December day, when I was supposed to be Christmas shopping for my family, I ended up buying myself a few gifts, one of which being my new motorcycle jacket. I know Christmas is the season of giving, but I just couldn’t resist! I bought it at the H&M in the Eaton Centre on an absolutely fantastic clearance sale – 70% off! The original price was $200 and I got it for a mere $60! How could anyone in their right mind say no to that? My jacket is 3/4 sleeved and the weather’s been particularly unpleasant in Toronto, so I have yet to wear my jacket outside. I bought a size that was a little on the tight side, knowing that the leather naturally gives. I haven’t done much to help it out in the stretching-out process, except for occasionally wearing it around my condo while lounging around. With the middle of April here, I want to wear this properly, outside. Can anyone relate to this situation? I’d love to hear your tips and words of wisdom!